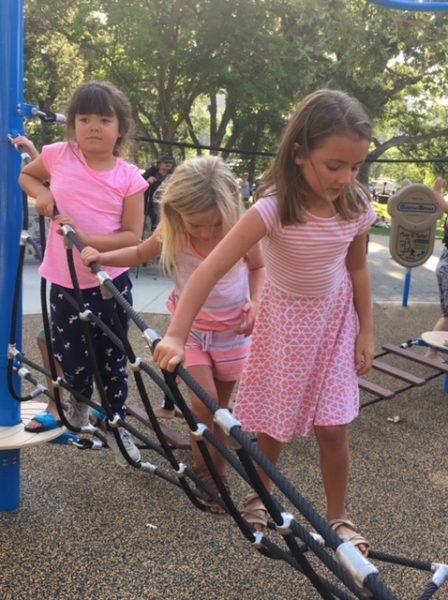 –Mayor Tom O’Malley cut the ribbon Tuesday afternoon to open a new playground at Atascadero Lake Park. About sixty children, including seven grandchildren of Mayor O’Malley, rushed into the new park and swarmed over the playground. Swings, slides, catwalks and rope bridges give kids a variety of recreational activities. Many Atascadero city officials attended the ribbon cutting, including council members, planning commissioners and City Manager Rochelle Rickard. The event was coordinated by Terrie Banish. 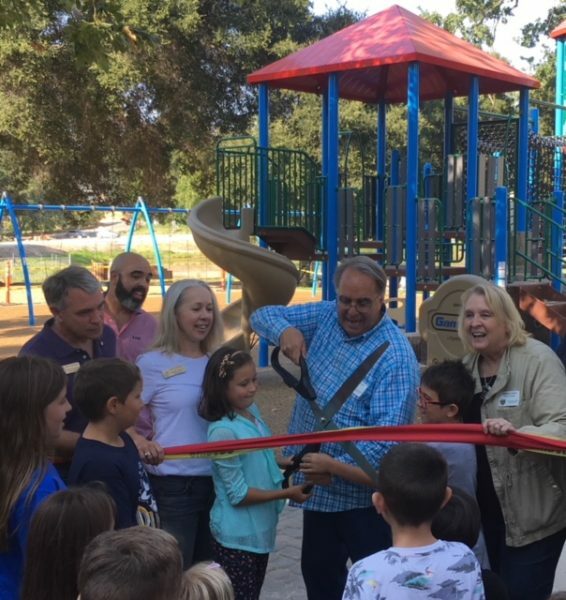 The playground is now open for the free entertainment of Atascadero families. 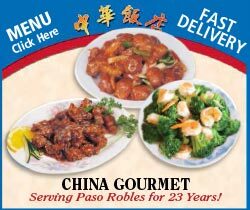 It is located near the bandstand at Atascadero Lake Park.